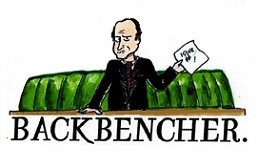 The Backbencher – Who’s Who in the Race to Replace Cameron? On Monday, Texas Senator Ted Cruz fired the starting pistol on the Republican Party Presidential Primary race for 2016 by announcing his full candidacy for the nomination. Cruz is the first candidate to announce his intentions directly for the US General Election next year. But as Cruz fired the starting pistol in the US, another race was started in the UK with Prime Minister David Cameron announcing that he will not seek another term of office should he win the election on May 7th. This announcement ended the speculation of when Cameron would choose to leave office, with the top pick being in 2017, and spelled the start of what will turn into a very long leadership race for the next Conservative leader after Cameron. Before we look at a few potential candidates I believe that we should quickly look at why this was a smart move. I don’t hide the fact that I’m not a big fan of the PM but credit where credit is due. By announcing that he will be stepping down in 2020 he has managed to put an end to speculation that has at times overshadowed the governments policy agenda. He has also managed to secure himself a position where he can actually govern without having to worry about reelection in 5 years time. 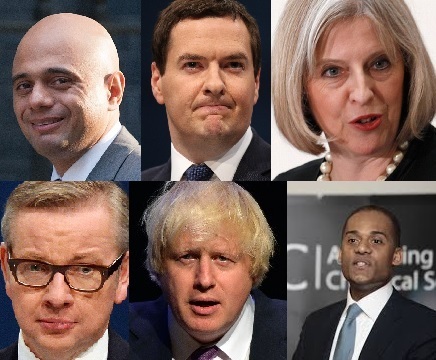 Michael Gove, the chief whip, also pointed out on Newsnight last night that it would create loyalty amongst the top brass who want to be seen as ‘team players’ rather than renegades in order to secure their position and prevent them from scuppering hope of being the leader. Well Ladbrokes puts Boris Johnson as the favorite with current odds at 5/2 for him being the next leader. Boris is an interesting choice. He’s popular with voters from all parties even though he’s often seen as out of touch. He has also managed to prove that he’s made of Teflon as very few stories that come out against him stick. However the downside to Boris is that he has relatively little experience of being in the executive, despite his time as Mayor of London. The next potential candidate is Theresa May who Ladbrokes offers up at 4/1. The obvious thing to mention is that she has experience. She has managed to break the trend of Home Secretaries being booted after less than a year, who can forget the Labour years where we had 5 home secretaries in 6 years. The other thing to say about May is that she is pragmatic and something of a realist. She doesn’t let ideology get in the way of governance. However she does come across as cold and robotic at times. Worse still is that she is known to have been very hostile to the ever growing Libertarian wing of the party, with some low profile spats with high profile liberals in the party. Next comes George Osborne, with less favourable odds of 7/1. Often viewed as a bit of a dark horse in Westminster with many high profile appointments being attributed to him. He has had the toughest job in the coalition and has managed to start to get the economy on the right track. Osborne would perhaps like to believe that his greatest legacy as chancellor has been the revival or the North and the creation of a Northern Powerhouse. However he is still unpopular amongst voters and lacks his own voice, rather he is a tool of the PM. Sajid Javid comes in as the next most popular choice (10/1). Javid has been one of the rising stars of the coalition government. He is young, intelligent, adaptable and popular. He’s seen as one of the poster boys of aspirational blue-collar conservatives who have lived the ‘British Dream’. A self made man, who was the son of a bus driver; he offers an image of everything a Conservative should be. He as also made himself a key player amongst the Thatcherite/Classical Liberal wing of the party. His downside, like Boris, is experience. Javid only has experience as a junior minister and still lacks name recognition amongst the electorate, but he’s still one to watch. Michael Gove is also a contender (16/1). The former Education Secretary, who currently serves as Chief Whip, is seen as the darling of the Old School Tory wing of the party. A traditionalist by nature, he appears calm and collected and speaks with an icy tone that would send shivers down even Frank Underwood’s spine. He does however have baggage. As education secretary he managed to get himself stuck on the naughty step by teachers who didn’t like his modernising reforms. Finally there’s Adam Afriyie (50/1). Once dubbed the ‘British Obama’, speculation for Afriyie has gone quiet over the last few years since he was outed as a stalking horse. The MP for Windsor was once tipped to become the Business Secretary, before being snubbed in favour of Vince Cable. Afriyie is a very popular MP in his constituency because of his ambition. His only drawbacks are that he comes across as arrogant at times as well as the fact that he lacks name recognition across the country. There are of course still more likely candidates. Philip Hammond (12/1) may stand, although he is seen as a keen supporter of Theresa May. Owen Paterson (25/1), David Davies (33/1) and Liam Fox (33/1) may also have a go, although they would do better to support either Javid or Boris. At any rate, the Conservative Party is spoilt for choice when it comes to a new leader, that’s more than can be said for Labour.